At 24, you haven’t stopped happening in my life. I hope you never do. Yesterday, I informed readers of my recent run in with ingrown toenails…I apologize if I grossed anybody out, but from the beginning I promised I would be real on here. Welcome! That being said, something as significant as receiving anesthetic, spending 40 minutes a day with my feet in salt water to eliminate infection possibilities and being ridiculed in the process, some sort of you had to have occurred. Good news, you did! The issue with my toes was my nails were growing where they weren’t intended to grow. This picture is a bit disgusting, but it does a great job depicting my lesson learned. 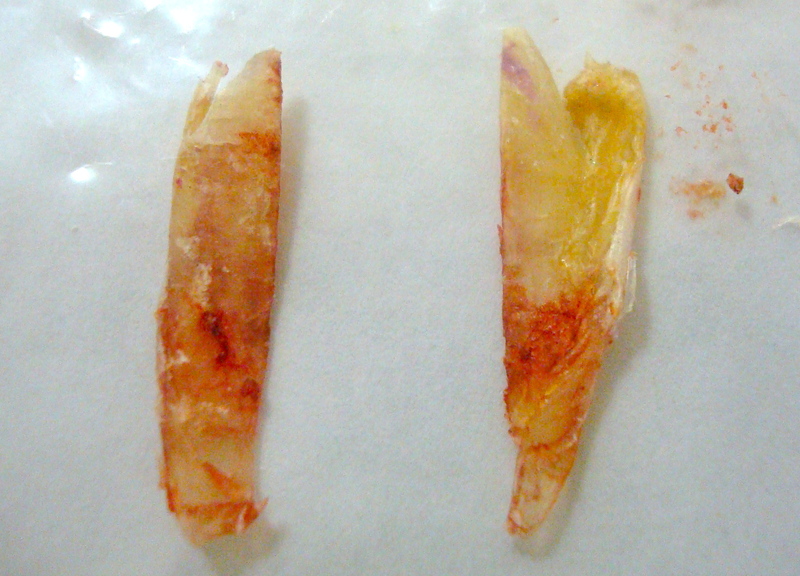 My doctor let me keep the pieces of nail he cut out. I had both insides of my big toes operated on, so the nails below are sitting how they were on my feet. If you look closely the inside portions of the nails are what any Joe Schmo would have. Then, the outer parts of the nails are the issue. The left toe was just beginning to be ingrown again, the right toe was infected. It’s gross, but stick with me. Gross, but seeing these allowed me, and every person who knew about my ingrown toenails that gave me looks of disgust, to understand what was wrong with my feet. How the heck does a centimeter (if that) chunk of nail cause infection and severe pain? I’ll never understand, but as I was thinking about it I paralleled it to the big picture of life. How many times do I allow my little mistakes to build up and create much bigger issues in my world? We were created to live in harmony with God. Adam and Eve sinned. Now, we all inherit a sin nature, but God didn’t choose to leave us in our sinful state. God sent His Son, Jesus, to live a perfect life, become our sin on the cross and defeat death, so we may live in harmony with God once again. So, once I accept Christ, I’ll never sin again. Awesome, but absolutely not true. I’m going to fail, sin, mess up, make mistakes. The difference is my sin has been redeemed, and I want to rid myself of the junk in my life that grieves the Lord. So, how does this blip of theology have anything to do with my feet?! Just like my toenails were growing in places they shouldn’t be, sometimes I let sin fester in my life where it doesn’t need to be. It starts small, and I allow it to grow and remain a stronghold in my life. I fail to confess my sin, to humble myself and admit I’m wrong. So, it continues to grow where it’s not supposed to be. The longer we allow it to be present, the more painful removing it is…just like my toes. The consequences of our sin are greater the longer we allow it to remain. Our sins are forgiven, but they don’t come without consequence. As I physically had my ingrown toenails ripped out, I couldn’t help but wonder what sin needs to be ripped out of my life as well.